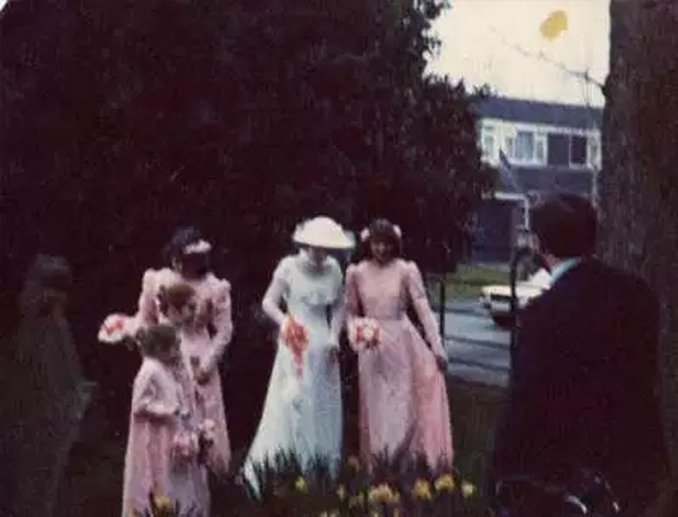 Here’s a collection of creepy wedding photos that put a dampener on the big day. 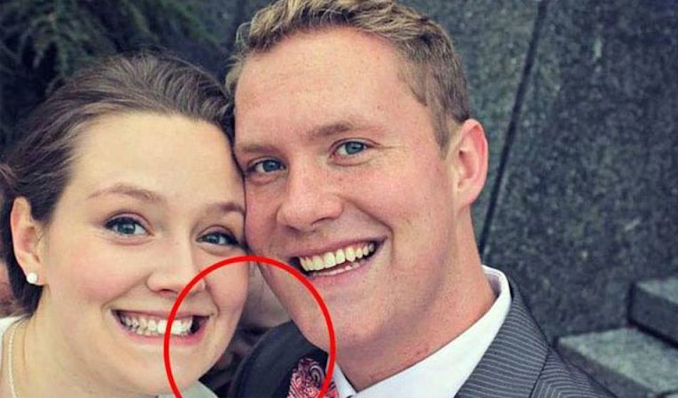 From a ghost child photo-bombing a wedding selfie to a demon appearing at a reception, here’s 11 creepy wedding photos that can’t be explained. In 2015, a recently married couple captured something a little more than joy in their wedding selfie. Newlyweds, Kevin and Christina Denis, posted a series of wedding photos to their Facebook page when a friend noticed something creepy. 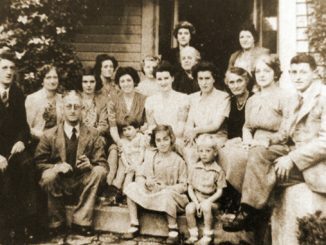 In the photo you can see, what looks like, a small child with black eyes, staring ominously at the camera. The Virginia couple said they had no idea what the figure was and even took to Reddit for an explanation. 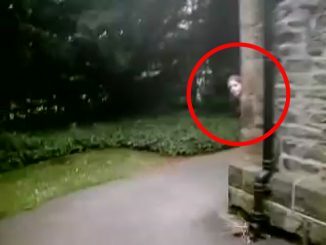 Many of the Redditors added their opinions, claiming it must be a ghost or demon. Despite the attention the photo created, there’s been no explanation for the figure in the image. This chilling image was taken in Norway on an old farm famous for being the former home of children’s book author Margrethe Munthe. 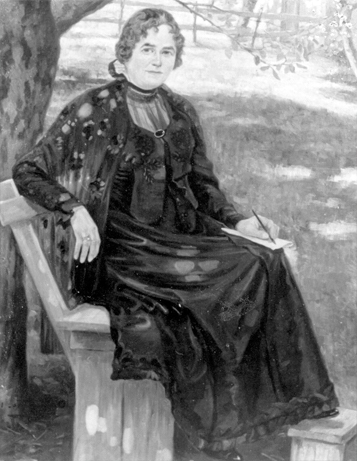 The image clearly shows the lower half of a person wearing a long black dress with boots. The figure looks partially elevated from the ground. There is a starkness usually lacking in ghost photos. 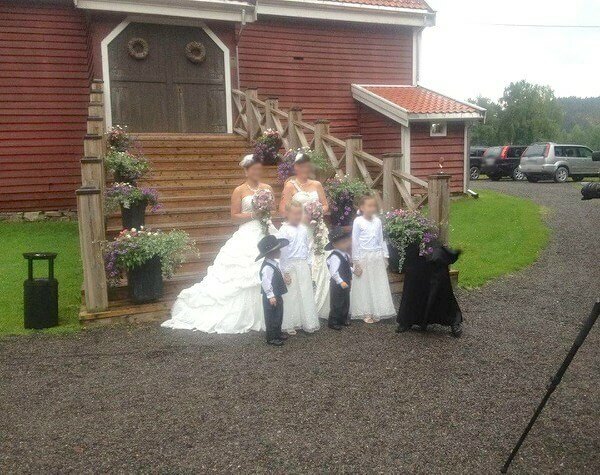 The professional photographer who took the photo claims that no one at the wedding was wearing black or anything even remotely similar. He said he’d never seen a glitch like it before. 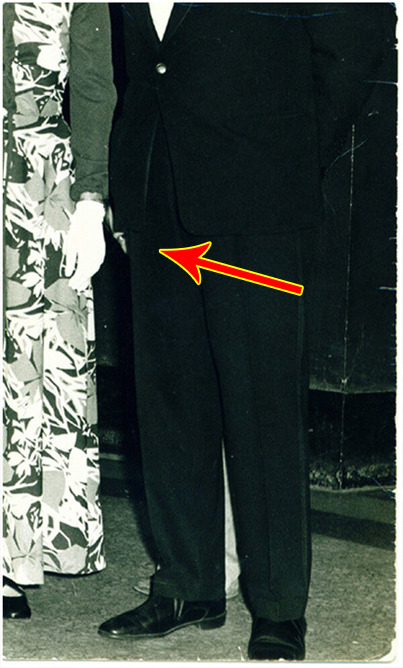 Her long black dress and pointed boots look awfully similar to the figure in the wedding photo. Has this photographer captured a glimpse of the spirit of Margrethe Munthe? Is she eternally wandering the grounds of her old farm? This creepy photo was posted online by a man who claims it was taken at his daughter’s wedding reception at a hotel in Espanola, New Mexico, on 15th July, 2006. 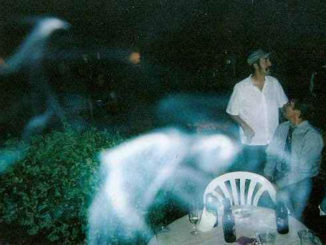 The photo has captured a strange, swirling mist that appears to be forming the shape of a human. It even looks as though it is reaching for something on the table, possibly one of the bottles. Some think that it is little more than cigarette or cigar smoke swirling through the air. While others have suggested that it might actually be the ghost of someone who knew the bride and groom? One who simply could not resist partaking in the festivities of this momentous occasion? 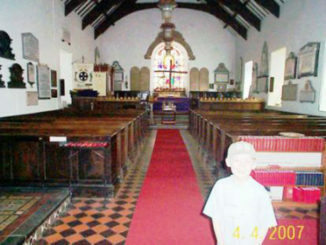 This photo was taken in the village of Church Aston in Shropshire, England. It was snapped outside the local church shortly after a wedding. The image was actually shared online by the young girl seen closest to the camera who said that she remembers feeling cold and sad while posing for the photograph and wasn’t sure why she felt so uneasy on such a happy day. 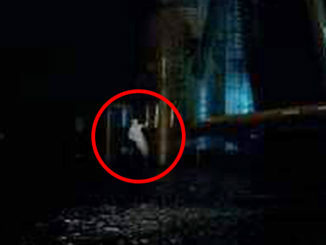 The image has clearly captured some sort of ghostly figure but who could it be? A deceased family member perhaps? Or a spirit that is somehow attached to the church or its grounds? Without further information, we may never know. 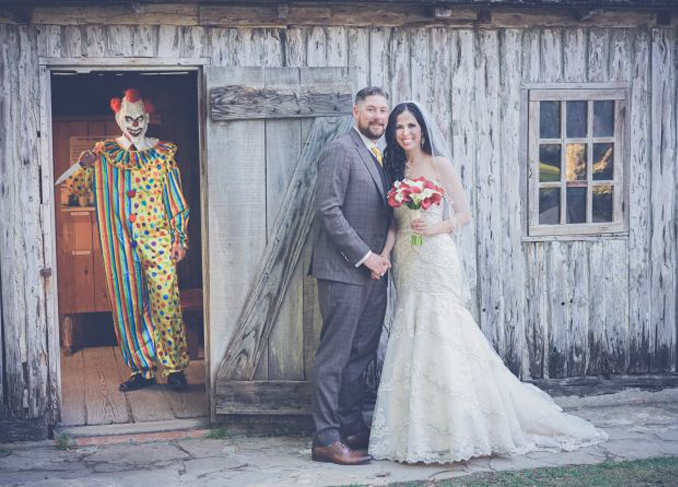 This creepy wedding photo scared the heck out of a San Antonio bride as she had no idea a terrifying clown was lurking nearby. Manda Alexander had no idea the killer clown was in the photo. It wasn’t until a year later when husband Vince Alexander surprised her with the picture on their first wedding anniversary. The groom had his brother dress as a psycho clown and hide in the photo. The image was kept a secret for an entire year. Mrs Alexander, who is deathly afraid of clowns, said she got fright of her life when she finally opened the gift. Nothing says love like a creepy, knife wielding clown. 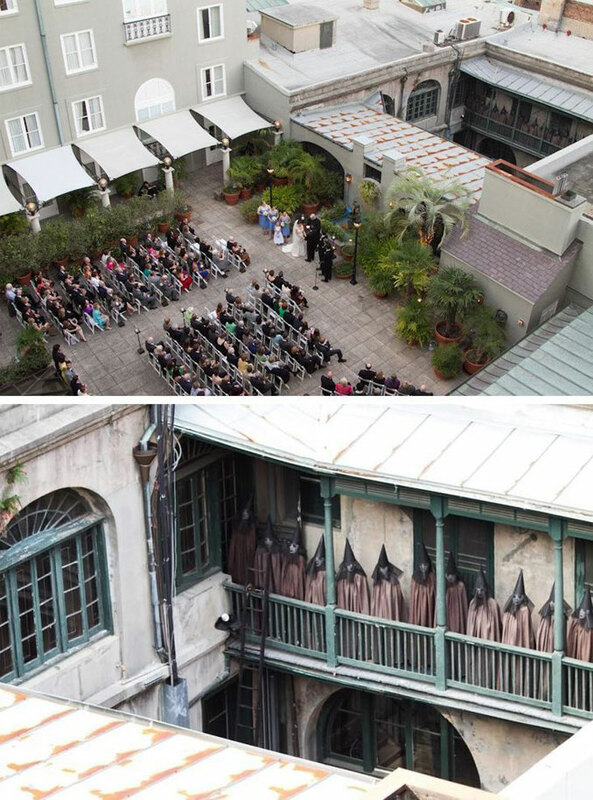 When a photographer decided to take this pic of a wedding ceremony from a nearby rooftop, he didn’t realise he had captured something far more sinister. In the building behind, 12 eerie hooded figures can clearly be seen lined up along the first floor balcony. When the photo was released, internet speculation ran rife as to the identity of the mysterious figures and what it was they were doing there. Were they secretly overseeing the wedding? Did the photographer unknowingly capture some sort of bizarre ritual? Turns out that the figures were actually part of an art exhibition by Dawn DeDeaux entitled The Goddess Fortuna and Her Dunces. Not so sinister as first thought but still makes an eerie photo! This photo was taken some time in the late 1990’s at a wedding reception in Aurora, Minnesota. The couple in the photo, Mr and Mrs Martinez, claim they didn’t notice anything strange about the photo until eight years after it was taken. There, in the background is a strange dog-like face just above the left shoulder of Mr Martinez. The couple said there was no dog at the reception and were baffled by the image. Mr Martinez, who was battling drug addiction at the time, claims the photo was an omen. He took the photo as a sign to stop his drug abuse, believing this was some kind of demon that was clinging to him. He now carries this photo around with him reminding people of the evil that can be found in this world. Photography experts examined the photo and determined that it hadn’t been tampered with in any way, concluding that the dog must have been present the day the photo was taken. Whether the dog is demonic or not still remains a topic of fierce debate on social media and forums even to this day. This creepy photo was sent to us by a Facebook user from Connecticut. She claims that she took the picture in July, 2017, just before leaving to attend a wedding. She was wearing her mother’s dress and wanted to send her a photo to show her how it fit. After the wedding, she planned to meet a friend at a fast food restaurant and while she was waiting, decided to flip through the photos that she had taken earlier that day. That’s when she noticed what appears to be some sort of ghoulish face in the mirror behind her. It shocked her so much, she started to cry and even found it difficult to speak. She was so spooked by the image, that she didn’t want to go home. 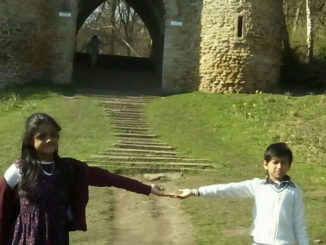 Eventually, she plucked up the courage and decided to return home and try to recreate the image. Still dressed in her wedding attire, she posed for several more photos in the exact same place as she had taken the first one. Each time, it was obvious that the mirror behind her was just showing her hair. The poster said that she has lived with her son in the same condo for three years. 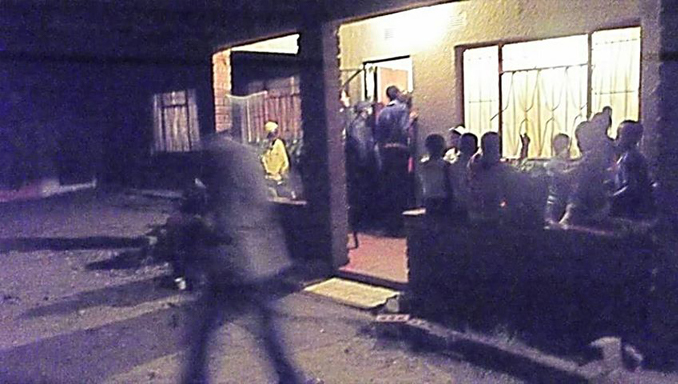 The week before they moved in, the man next door was found dead and his body was not discovered for a week. Ever since, the two of them have noticed some very strange things happening on the upstairs floor of their condo. The bathroom water mysteriously turned on by itself. The shower curtain was continually found open after they were both certain it was closed and they began to feel an eerie presence in the bathroom while they were showering. Is it possible that this Facebook user has actually captured the ghostly face of her former next door neighbor? If so, could it also be him that is responsible for the strange occurrences on the upstairs floor? Let us know what you think in the comments section below. 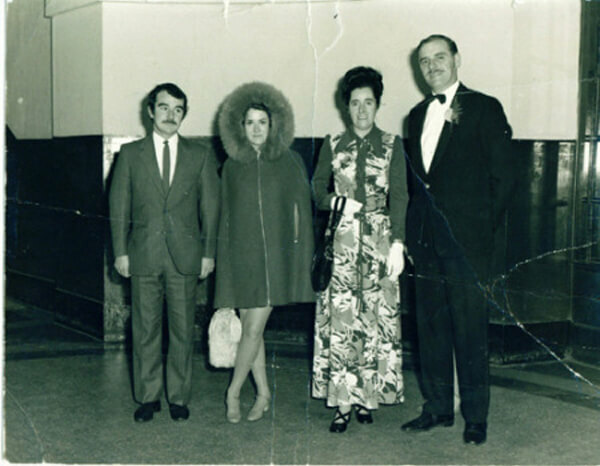 This old, unassuming wedding photo, at first glance, doesn’t exactly give you chills. But if you look closely at the man on the far right, behind his leg, there is an uninvited wedding guest. Taken in 1972 in Paisley, Scotland by a professional photographer, it appears there’s a small child peering out from behind the man in the foreground. The photographer said that the child appeared on the negative of the film too but couldn’t explain why. He claims that there was only four people in the hall at the time the photo was taken and there was no chance a child was hiding behind them. Even when the group was ushered on, there was no one else around. Consider too how close that child would have to be to hide behind the man. Surely he would have noticed a person behind him. But there, clear as day is a child staring at the camera. 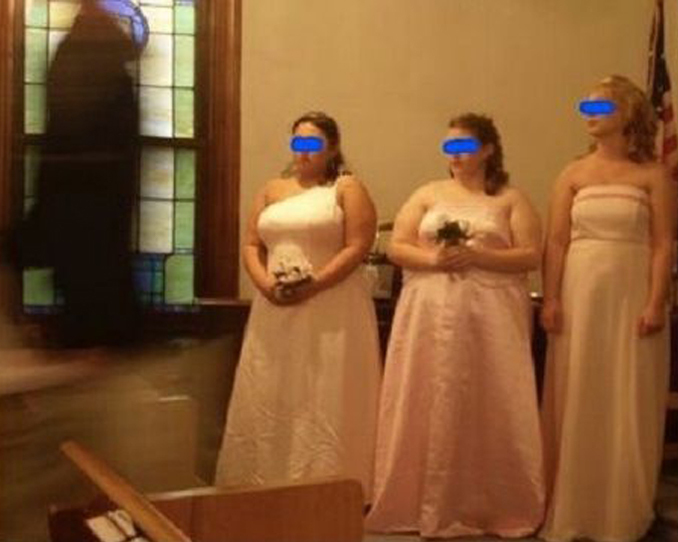 Well there’s our look at these creepy wedding photos. Love to get your opinion on these eerie images in the comments below or on any of our socials.